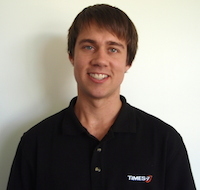 As a Design Engineer at Times-7, Cameron is responsible for the mechanical and computer aided design of Times-7 antenna products. With experience in research and development roles within the New Zealand manufacturing industry, prior to Times-7, Cameron worked as an Acoustic Engineer developing high-end acoustic doors for mass manufacture. Cameron has an honours degree in Mechatronics Engineering and is in the final stages of completing a master’s degree in Mechanical Engineering from Canterbury University. When not found behind his CAD screens or devising new and ingenious CNC router programs at Times-7, being a very active member of the Wellington social sporting community, you’ll find Cameron most likely running around a squash court, or playing fast and furious indoor cricket!